Ever since the Gundar Osis hot lap race edit came out, I’ve been hoping to see more 24″ racers take up the cause and put out some quality race edits. Thankfully it looks like Brandon Brown has the same idea with this little gem called Cruisers can Ride Too. Granted, it starts a little slow, but 30 seconds in, you’ve got some smooth race style happening. 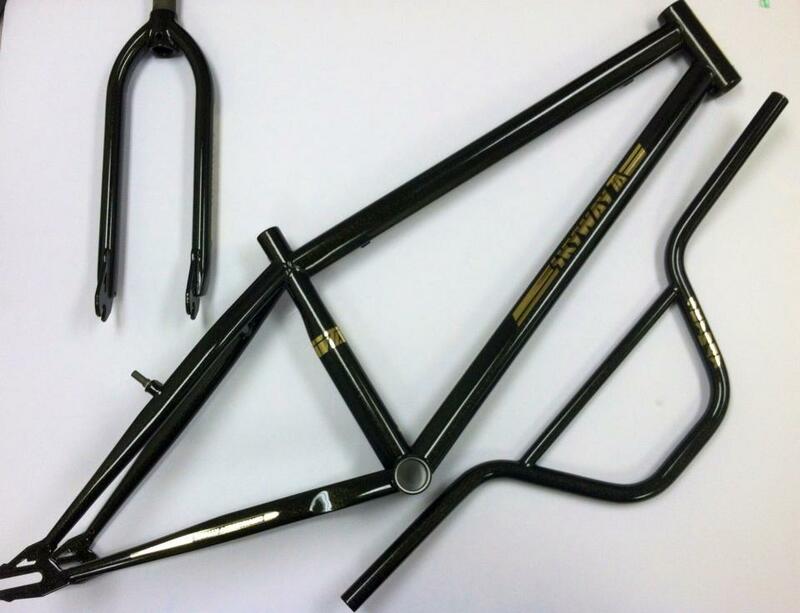 I was caught by surprise this weekend when I spotted the teaser photos of the yet-to-be released, limited edition, “BLACK GOLD” 24-inch T/A frame, fork and bar combo. The parts are powder coated in black with a gold sparkle clear coat. The gold sparkle is supposed to give the kit components a cool look in the sun (I guess we’ll have to see more photos to make that call). Anyway, a pretty interesting departure from a company that counts old-school aficionados as their bread and butter. 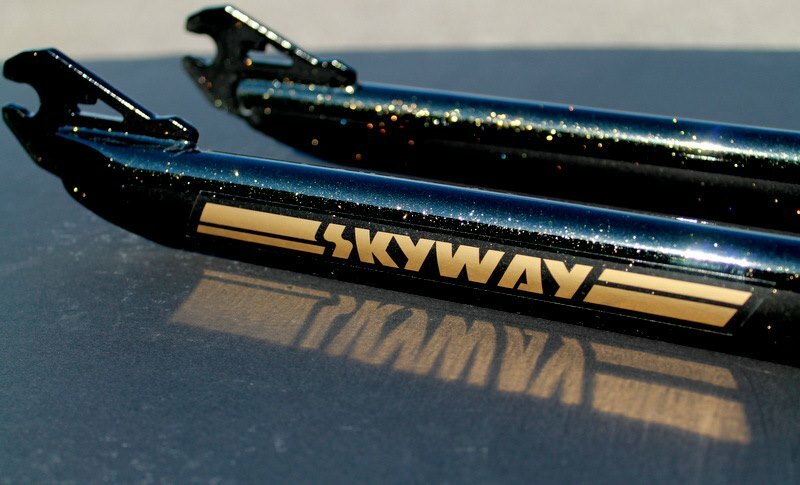 I wonder what old-school purists will think about this move by Skyway…heck, I’m still getting my head around the idea of a Skyway T/A frame powder coated black (not to mention, the gold sparkles!). 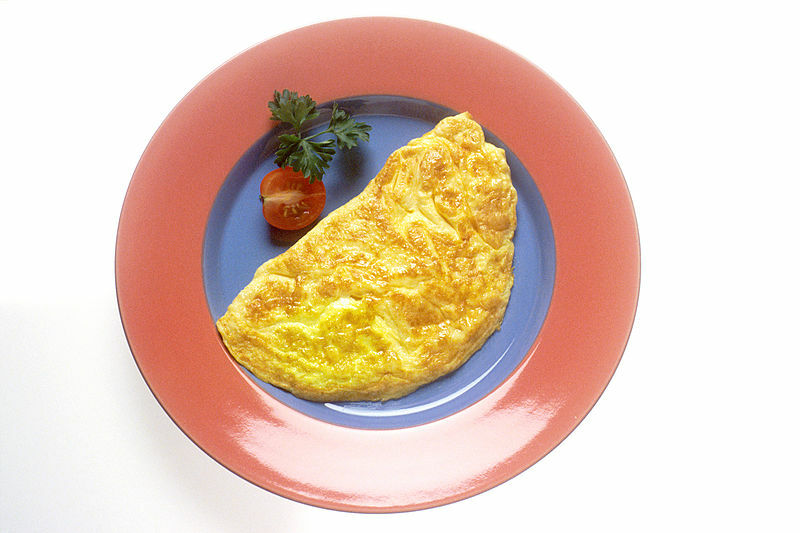 Whipping up a tasty omelette? Doing both at the same time? A giant-sized tailwhip worthy of his name…SE Bikes’ Big Daddy aboard the 26″ OM Flyer. I’m heading down to Ray’s MTB in Cleveland this weekend for a St. Patrick’s Day session. So if you’re in the area on March 17, come on out and let’s go ride! I may or may not be busting out a green outfit for the occasion but I’m pretty confident that a Shamrock shake (or two) will be consumed over the course of the weekend. 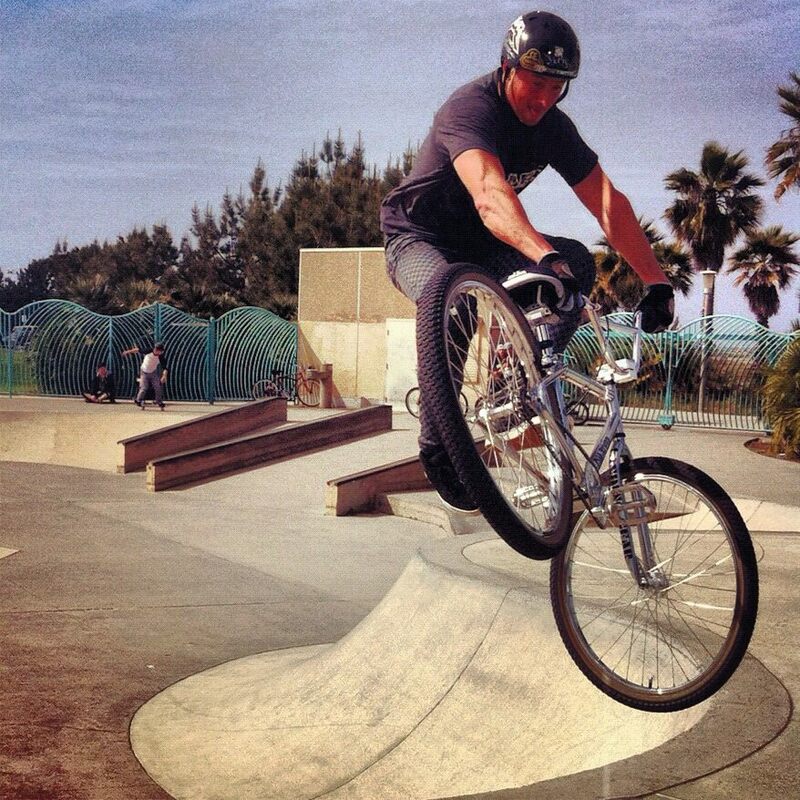 Looking forward to a good session…Ray’s MTB is always a good time! Stumbled upon this the other night while poking around the internet . Crazy Al Cayne caught up with Tom Johnson at the New England nationals last year and gets the scoop on his custom camo Standard 125r cruiser. The surprise that comes out in the bike check is that this isn’t a custom paint job–which I just assumed it was–but a custom sticker job! 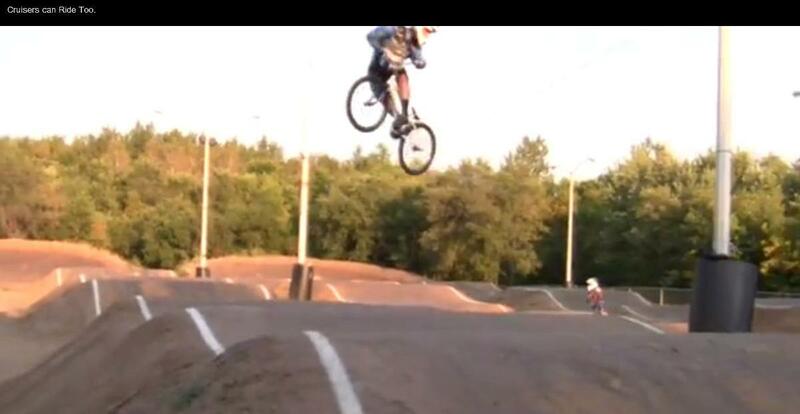 It’s been a couple days and I’m still riding the high from another great Toronto BMX Jam. An annual tradition for me (and many other riders), it’s become amongst other things: a chance to catch up with old friends, meet new ones, shop for deals on parts (it’s partnered with the Toronto International Bicycle Show) and….oh yeah…check out some awesome riding. Despite local favorite, Drew Bezanson, being unable to ride due to injury sustained earlier in the week riding Joyride 150, there was still a whole field of riders just killing it all week long (as you can see from the video). 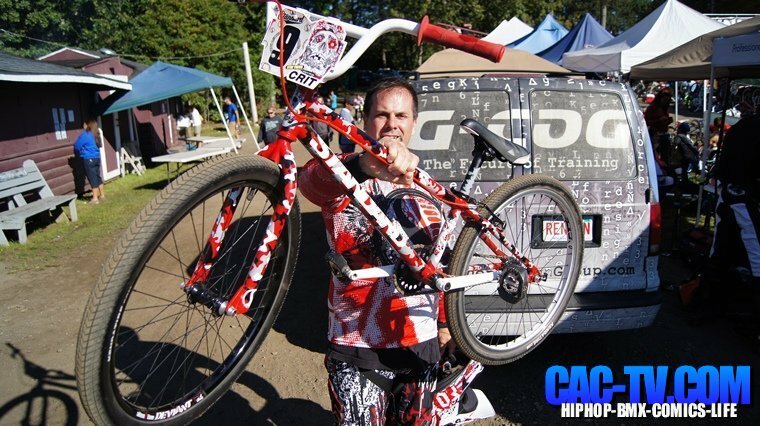 Joe Cicman of TwoFourFlat fame was also in the house riding in the flatland comp (on his 20″). We had a chance to chat briefly and it sounds like the next installment of the TwoFourFlat series is going to be one worth waiting for! Can’t wait. And even though weather was freezing over the weekend, the Toronto BMX Jam also means that spring is just around the corner and that always seems to be the icing on the cake. The weather forecast is already calling for warmer temps by the end of the week.